When and how did your dream of becoming an MUA start and what were you working as at the time? My dream of becoming an HMUA probably started when I was a very little girl and used to take hair and makeup books out of the library; would pore over them and make my sisters model for me. However, I was very academic at school and so went off to university to read Geography and then Law. I qualified as a solicitor in 2011 and practised for seven years. My dream was reawakened at my own wedding – my incredible hair and makeup artists Kristina and Kasia lit a fire in my soul and I just couldn’t put it out! I began plotting how I could make hair and makeup my job. I knew that law would not offer me the opportunity to work flexibly once we had a family and I wanted to be able to maximise my income whilst minimising time away from my future children. What were your first steps to make your dream a reality? Initially I reached out to Kristina to find out more about her transition from the corporate world to makeup. Kristina was very honest but completely encouraging and I decided to book in for a course at her Academy to get me started. I liked that the courses were completely tailored to each student and were 1:1 training – not spending half the time modelling for other students as at some institutions. Kristina is also so kind and generous with her time – I never feel like I can’t contact her with a query. What education/courses have you completed so far and ow do you continue to improve your skills? 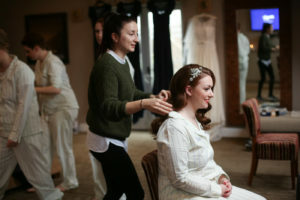 Brides were constantly asking me to recommend someone of a similar calibre for hairstyling – so I decided to train to offer that too! 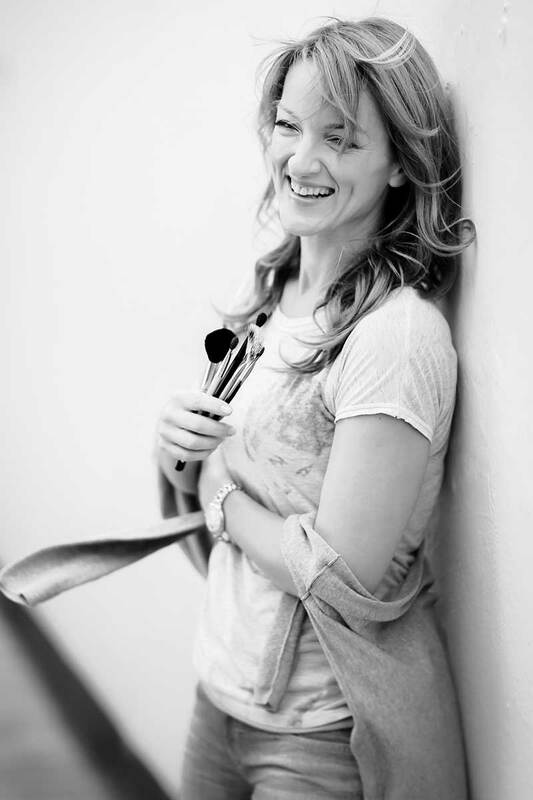 Kasia is also an incredible teacher – and what she doesn’t know about hair styling isn’t worth knowing! 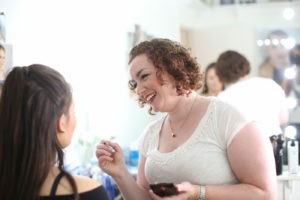 I’ve also completed skills update sessions for both hair and makeup as well as getting together with other HMUAs to practise – we can all learn from one another in this way! How long did it take you to start getting paid bookings? I had my first wedding (a last-minute booking) about two months after finishing my makeup course with Kristina. I had been very active on social media beforehand and my website was launched at about the same time as the wedding. What were the hardest challenges along the way? Did you ever feel like giving up? What made you keep going when it got tough? For me, the hardest challenge was juggling the demands of my legal career, a house renovation and pregnancy with my business, especially when I was working all week, using annual leave for bookings in the week and then doing trials and weddings at weekends. However, I knew that I was creating a business which would give me the opportunity to live the kind of life I wanted – to essentially be a stay-at-home mum with a full-time income! I never felt like giving up though – my dream was too strong! Plus, the high you get from spending the wedding morning with incredible women is just amazing and hugely uplifting! What do you think are the necessary characteristics for a career-changer to succeed in bridal makeup artistry/hairstyling? In my previous life, my skill-set was quite narrow – but to run your own business, you need to master so many different business skills: social media, networking, websites, accounts, photography etc etc… and that’s before you even get onto mastering the art of hair and makeup! You also have to be incredibly motivated to live your life this way – making money is not the reason to become a bridal HMUA as it’s unlikely to make you enough to be solely worth getting up at some ungodly hours for! I adore my clients – almost without exception, they are utterly delightful and it is such a privilege to have them place their trust in me to ensure that they look stunning for their wedding day. How many weddings do you have booked for 2018? Do you turn down lots of weddings because the demand is greater than you can cope? This year I have about 20 weddings. I was on maternity leave for a few months after the birth of my daughter in December last year, so that limited the number that I have been able to take on. However it has meant I have been able to take on some bookings at shorter notice than in previous years. I also do occasion hair and makeup for parties, proms, etc. as well as teaching makeup lessons. I have a minimum booking at weekends now as I am able to fill most dates with high-quality bookings. Most importantly, I have been able to walk away from my legal career feeling confident that I can afford to do so! Spend some time identifying your dream. What does it look like? How do you spend your time? How will you know when you have achieved your dream? Now, put your big girl/boy pants on and start planning how to make it a reality, one step at a time. You won’t look back or regret it for one minute! Has the quality and happiness of your life improved since you started working for yourself? Does working for yourself really mean that you work less hours and are more flexible than when you have a 9-5 job?